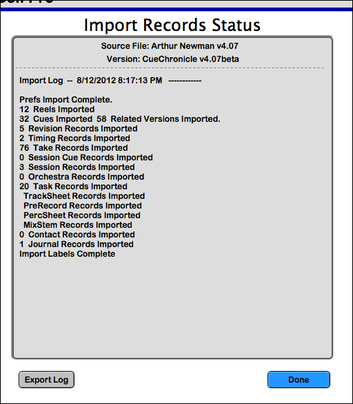 CueChronicle v3 and below use files with a (.fp7) extention. The new FMPv12 (.fmp12) files can not be used as source file with CCv3. 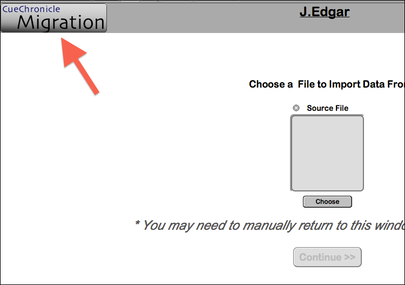 The target file will move to the Migration layout. 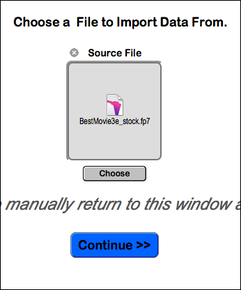 The source file will open and become the front most window. 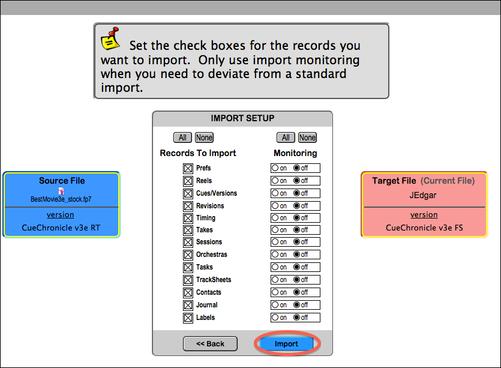 The source file will be displayed in the container field. 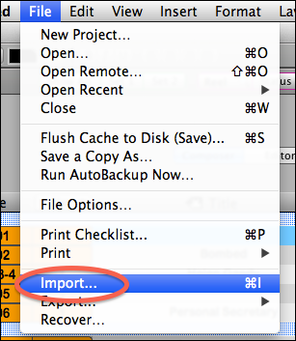 The layout changes to Import Setup.